Posted on Wednesday, October 12th, 2016 at 1:23 pm. La Jolla, called the jewel by the sea, is a paradise for locals and tourists alike. Gorgeous beaches and ocean views combined with world-class shopping and dining, plus arts and music make this beach enclave a place with something for everyone. Local restaurant The Hake on Prospect Street showcases We Olive’s Olive Oil on many dishes featured on their menu. A new favorite in La Jolla, and the best seafood around in our humble opinion. Another staff favorite is WhisknLadle located on Wall St about a block away from our store. They have an amazing farm-to-table menu, tapas and drink specials in the bar area from 3pm until closing daily, and a friendly, knowledgeable staff. Their cocktail list features fresh produce and juices with inventive drink recipes. Their weekend brunch is a can’t-miss! Another neighborhood gem is Herringbone Restaurant on Herschel St. This is the best spot for a pre or post dinner cocktail. The owners transformed this previously abandoned warehouse into a gorgeous restaurant featuring exposed brick, intricate tile work and a lounge featuring 100 yr old olive trees! Herringbone offers an Italian seafood inspired menu with great wood-fired pizzas, oysters and an amazing seafood stew…yum. Burger Lounge sits at the corner of Wall St. and Herschel. Grass-fed burgers and local, organic produce. Shakes, local draft beer, and hand cut fries and onion rings made to order. ‘Nuff said. The Spot on Prospect St. is our favorite local Pub. Great burgers, quesadillas, pizzas and tacos with a friendly-family atmosphere. Also, a great place to catch a game and enjoy some cheap drinks. 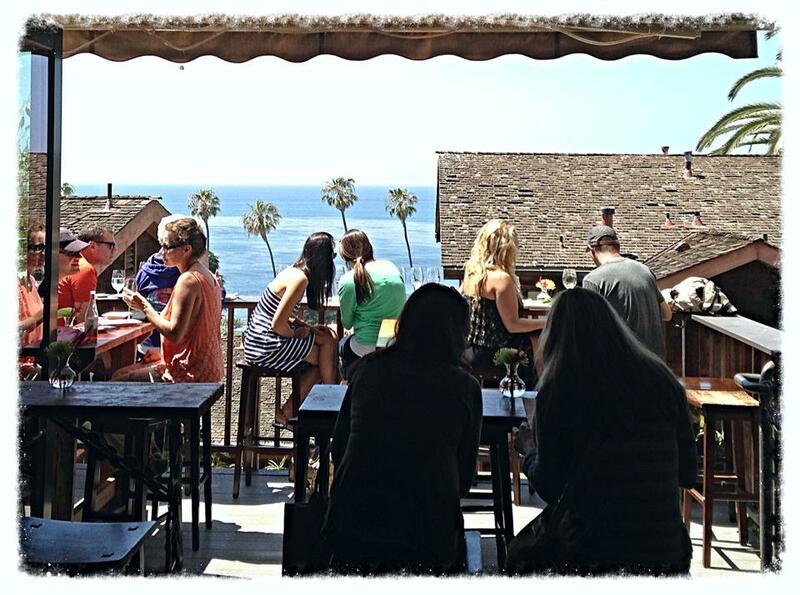 We Olive’s Ocean-view Patio! Seriously though, most people don’t know we have one of the best views in town and you don’t have to order a full meal to enjoy it like most other local spots. Take some time to walk the water’s edge around La Jolla Cove. Pathways and parks give way to a rocky coastline brimming with ocean activity. Besides surfers, snorkelers, and swimmers, you’ll see seals, dolphins, pelicans and a variety of other marine life. The Museum of Contemporary Art on Prospect Street offers world class art exhibits, events, a sculpture garden and a great retail store and cafe on the street. Visit the Cave Store on Coast Boulevard. They offer guided walks through the unique cave in La Jolla Cove. Admission price: $4 adults and $3 for 16 years and under.They also rent snorkeling gear. Finally, visit Girard Avenue for some great cafes and lots of shopping. Prospect Street offers more of the same. Meet the Winemaker – Bella Grace Vineyards!